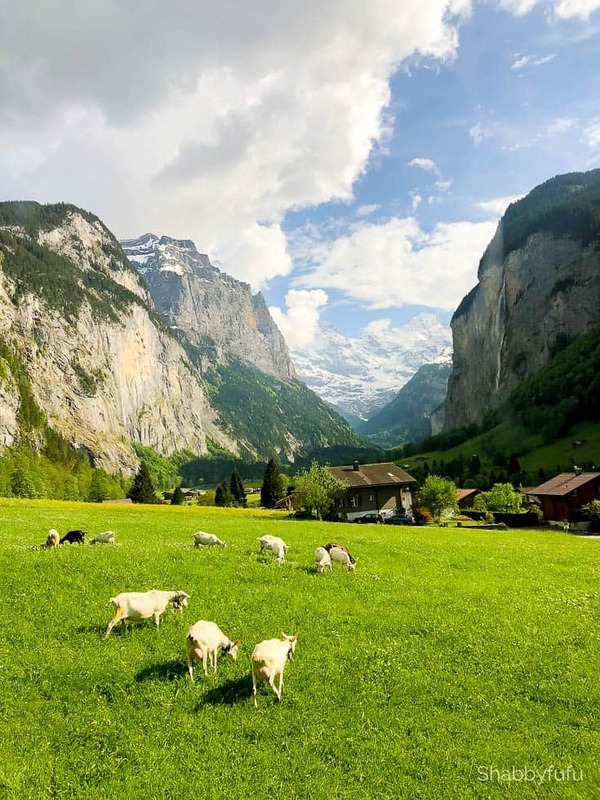 The natural beauty of Switzerland will take your breath away, and I’m sharing my travel experiences and tips in this post. Have you had a chance to read my recent posts on London (HERE) and on packing for 2 weeks with only a carry-on (HERE)? If you love travel or armchair travel this is the next in my series. After this get ready for the city in Europe that especially has my heart! It’s the one that I probably know most about as a frequent visitor! But Switzerland has been calling to me for awhile for several personal reasons. The photo above looks like I’m getting all “The Sound Of Music” with you (which was filmed in Austria). I shot this from a train and this is the sort of pastoral beauty you will often see in Switzerland! I spent time in the French side of Switzerland in a town called Champéry with my French cousins in my youth. My husband on the other hand lived as a child in the Swiss German town of Zurich. 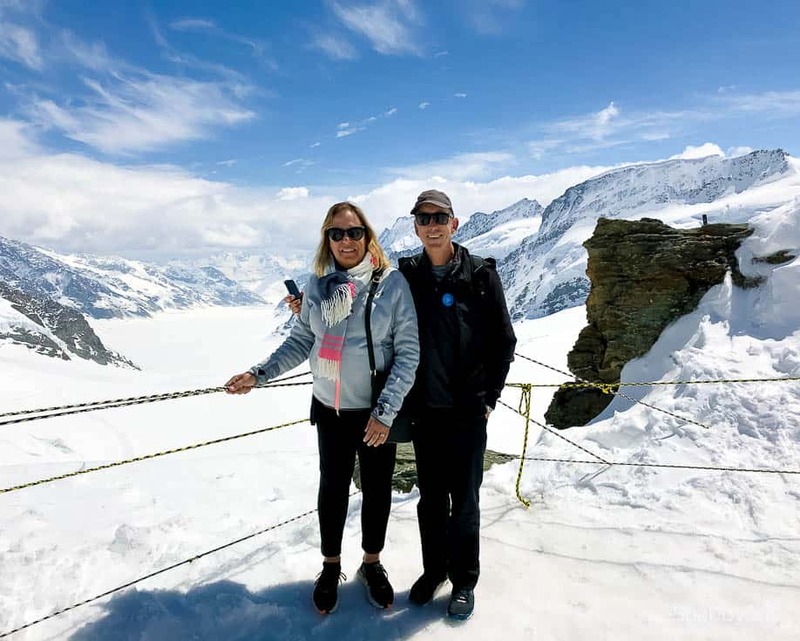 We have been back to Switzerland as a family with our kids, but wanted to head back and spend a week while we had the chance. First of all, we flew from London to Zurich after I researched the best way to get there. With having to go through France and a typical French strike going on, flying was easier, faster and actually less expensive. 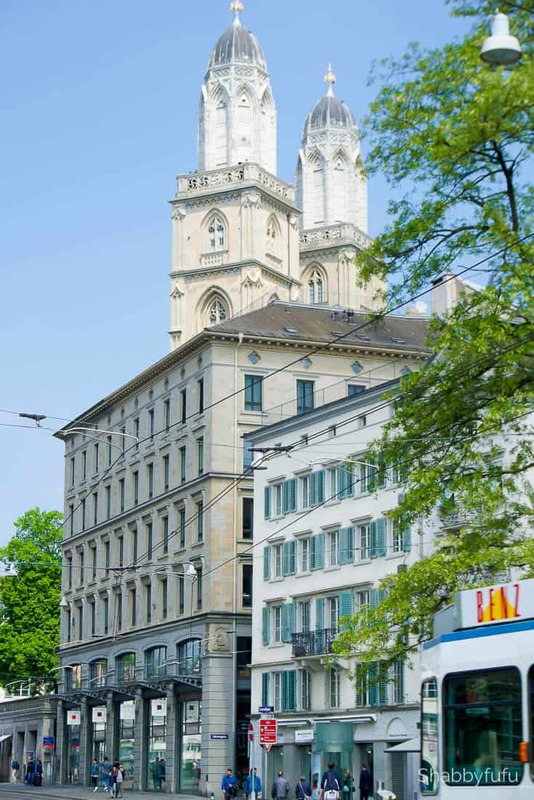 Zurich is one of those great European cities that is culturally historic, vibrant, friendly and run as efficiently as a Swiss watch. It’s one of the wealthiest cities in the world and a financial hub that is far from prim and staid. We found it really easy to navigate and the train and trolley systems run often. If flying it’s best to check the individual airlines for baggage restrictions. My normal size carry-on was considered too large for SwissAir and had to be checked. There was also a restriction of one clear plastic bag of toiletries and customs were quite strict. Download city maps on your iPhone or smartphone. It’s so much easier to do rather than the old way of a pocket map. Be sure to check with your carrier about your phone carrying charges overseas. We took out a plan with ours that cost just $10 a day and included everything including phone calls. 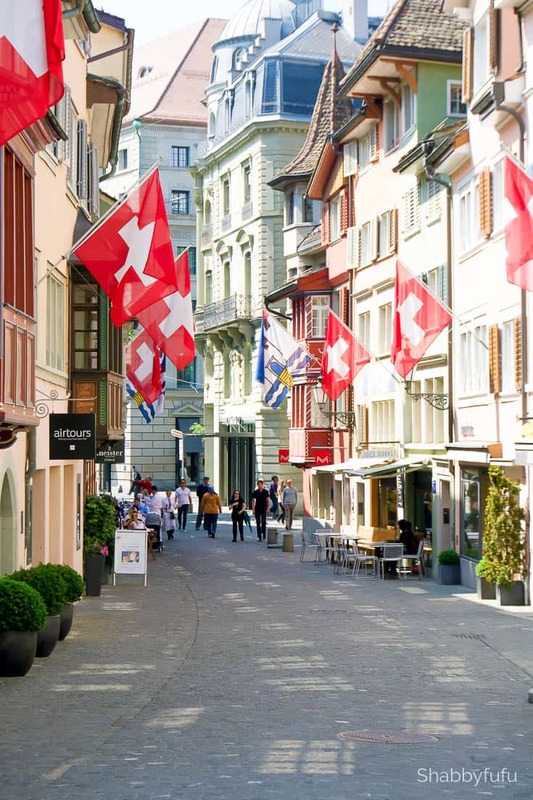 Old town Zurich has been kept beautifully in tact and is filled with hip and trendy stores and most noteworthy the cafes. Zurich has not only a wonderful train system, but the main train station is vast and full of convenience. Unfortunately I caught a virus and had to go to the doctor which was located in the train station in a friendly clinic. She was very thorough and it was inexpensive for treatment. 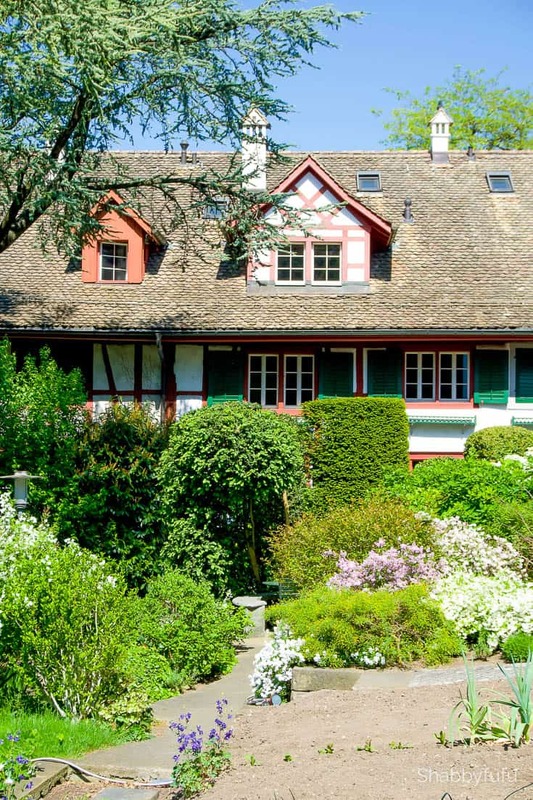 A house in the charming district of Zollikon, where my husband grew up. Peaceful, beautiful and I was so happy to see it! With train travel so easy we hopped on a train and spent a few hours in Lucerne and stopped for lunch. 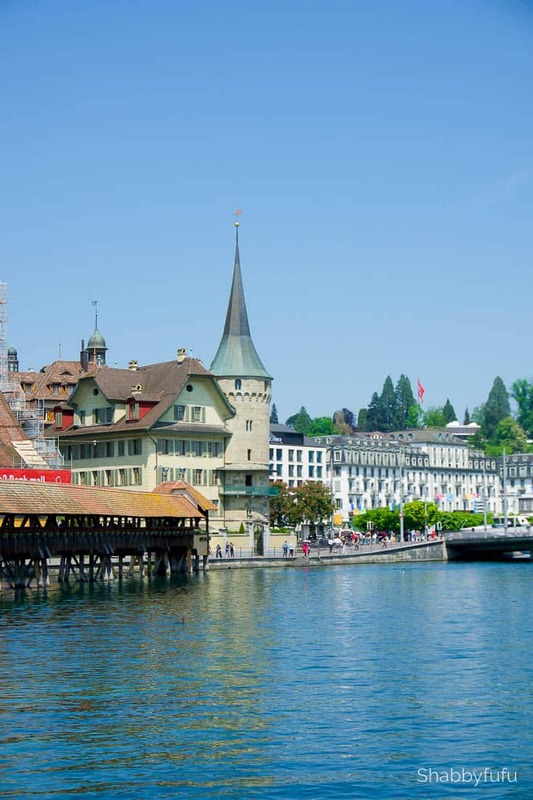 If you are headed to Switzerland be sure to travel by train! And now on to more of the the natural beauty of Switzerland that I’ve been talking about on our way to the Swiss Alps. I’ve put together a little video for you below. The Swiss Alps by train and really I can’t think of enough adjectives to describe the majestic beautiful! 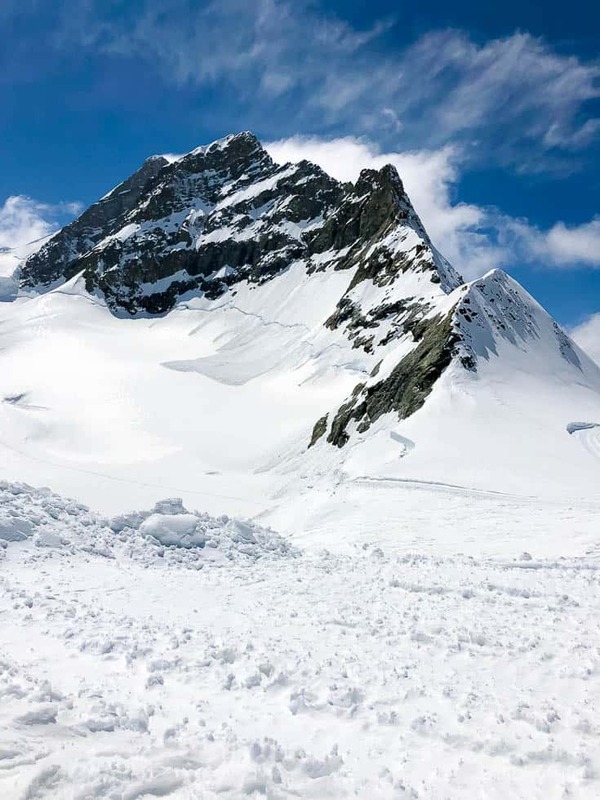 A bus in addition to two trains took us to the mountain of Jungfraujoch at 11,500 feet. We aren’t tour people but it’s hard to get to, so we opted for THIS day tour to get there. It just happened to be our anniversary and a great way to spend it…don’t you think? Notice…I’m holding the ropes because I don’t speak snow or ice living in Florida, lol. In conclusion, was this trip worthwhile? Absolutely, despite the fact that the air is thin and as a result my asthma acted up. If Europe is in your plans, I encourage you to see the natural beauty of Switzerland for yourself. Feel free to ask questions,…I’m only an email away! Please pin for reference later and share this post! Thank you for sharing! My husband and I spent our honeymoon there 34 years age this May. We visited many of the places you did. It brings back such great memories. Makes me want to go back. My stepson was in Switzerland over his winter break from college and he really loved it. He sent us lots of photos and it looks so beautiful there. We have been to Switzerland couple of times. The country is so beautiful. Post cards don’t do it justice. We loved going there. My brother-in-law and his family visited Switzerland a couple of years ago and I enjoyed looking at all their beautiful photos. Now I need to read your post on packing for two weeks in a carry-on. I always overpack when I travel. I am in awe at those pics and the video! I would absolutely love to go visit there. What a beautiful landscape! These photos are stunning! I would love to go to Switzerland one day. I’d take in the scenery and eat a lot of cheese. Wow!! Absolutely stunning! 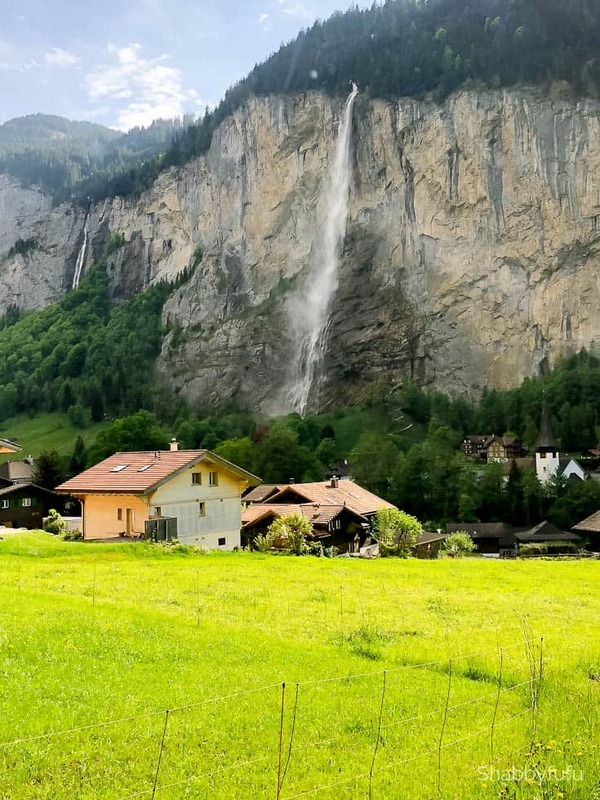 I have ALWAYS wanted to travel to Switzerland, what a gorgeous place! Thank you for taking the time to stop by Nancy…Paris is coming next! I’ve never been to Switzerland and have always wanted to go. I heard they have fantastic chocolates there. most places you visited. My favorite is Lucerne. Charming and lovely . I’m pretty new to your blog -really enjoying it! Switzerland is somewhere I would absolutely LOVE to go one day, my parents have been before and raved about what a beautiful place it was. Your trip looks so relaxing and peaceful. I would love to visit Switzerland one day. So many amazing sites to see. 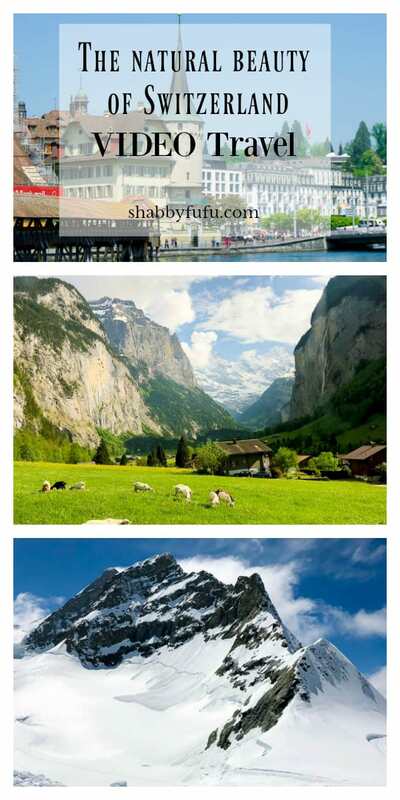 Switzerland is one of my dream destination so beautiful out there. It seems like you had a blast on that vacation. I wish we could travel there someday. Switzerland is my favorite country! It is so beautiful and clean… it’s so hard to take a bad picture! We are headed there again this Fall to go hiking! Enjoyed your pictures and your trip report! The fall would be such a perfect time to go! We’ve gone to France often in Oct and maybe will do that again this fall. What stunning scenery!!! Love that home in the neighborhood your hubby grew up in! So charming! Thanks for all your trip pix! Loved seeing them!! Carol…thank you soooo much for coming to visit my blog! I honestly would move to Switzerland in a minute, if I could think about embracing cold winter weather, lol. Switzerland looks stunning. The natural beauty you depicted here makes me want to plan a trip. It’s definitely on my BUCKET list. Switzerland is absolutely stunning, definitely a place that I wouldn’t mind visiting! I love how there are so many untouched places there that you could visit as well. Une bien jolie escapade en Suisse que j’affectionne. I am sorry to hear that you caught a virus while you was there but glad to hear that it was inexpensive to be seen. Looks like a really nice place to visit. Oh my! I would love to travel to Switzerland one day! It is on my bucket list!! I’ve always wanted to visit Switzerland! It looks so beautiful! I also love the convenience that the main train station has! 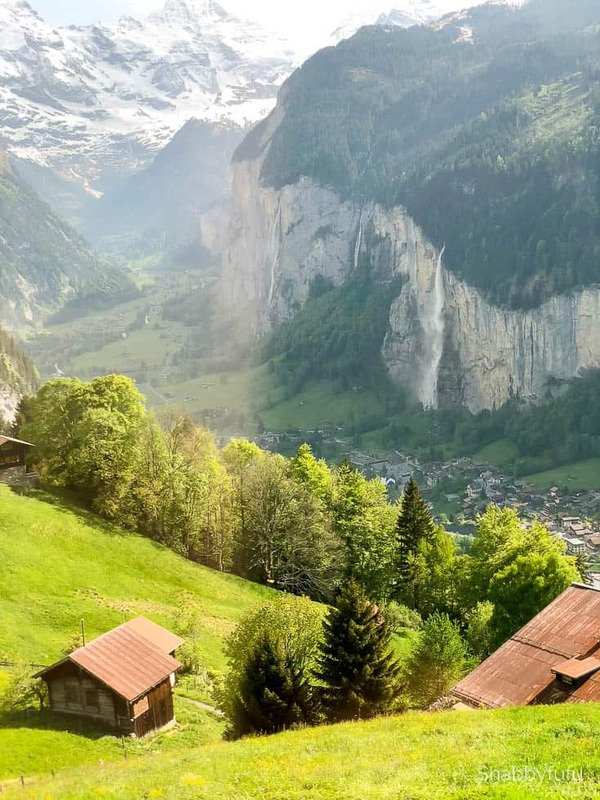 I’ve been to Switzerland several times and I always tell people that it really does look like every picture and postcard you’ve ever seen. Lucerne is my favorite but Geneva follows close behind because of the many places you can go by boat for a day. Our biggest Swiss adventure was traveling over the St. Gotthard Pass during a huge rain storm because the Gotthard Road Tunnel was closed due to flooding. Hundreds of waterfalls had formed because the rain was coming down so hard and fast. It was harrowing! Switzerland is indeed a heaven on earth. The stuff of dreams. Have been there twice but want to head back again and again, cannot have enough of this beautiful country. Sign me up! The beauty is breathtaking and I don’t think I’d really ever eat to leave! Lots of Swiss cheese for sure! So glad you all enjoyed Janet’s trip to Switzerland, the place I have lived for 49 years! – and I can tell you it is still as stunning after all that time, having come from London, after almost a year as an ‘au pair’ in Paris – so Janet you have been to all my favourite places in two weeks. Nice time you must visit our area – Lac Léman (Lake Geneva) – and Montreux where we live. We feel we have the best view in the world – lake and mountains every day as we eat breakfast, lunch and dinner! Thank you for sharing these wonderful pictures with us. I love them. A beautiful place to visit , thanks for the article. While reading the article , I recalled few lines of ROBERT FROST’S poem…..